-MASSIVE CHANGES to code, basically a full rewrite and reformat. -Total spell revamp. Added new visual effects and spell mechanics, changed sounds and casting art. -Added support for Open Cities, disabled by default to enable type "Set OpenCitiesSupport to 1" into the console without quotes. 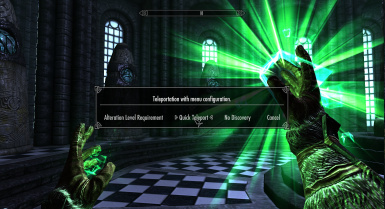 -Replaced ALL Teleport ObjectReferences from CoCMarkers to XMarkerHeadings by hand, No longer use any vanilla CoC Markers for locations. 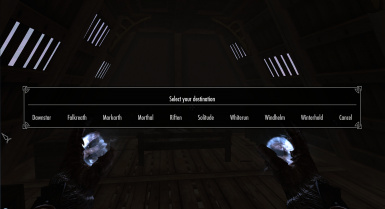 -Moved all teleport locations to better match most fast travel placements. -Added Sovngarde. Requires completion of MQ305 and 100 Alteration. 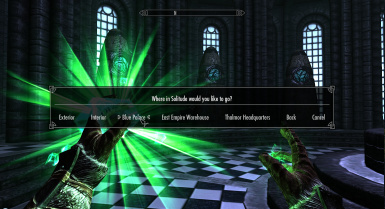 -Blackreach is now included with its own menu and 5(9) locations until the required quests are completed selcting an option will place you at the surface of each corresponding Great Lift. -Replaced Exteriors with Stables where applicable, they now require their own separate conditions from the rest of the respective hold. 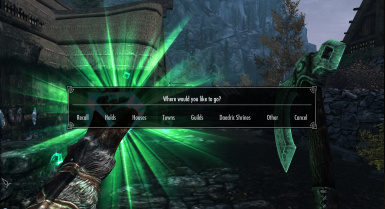 -Configuration menu overhaul. Listed options in message body. Renamed Cancel to Done. 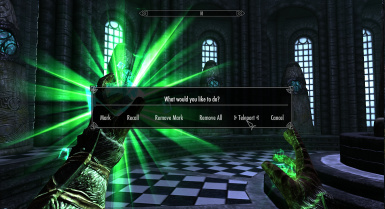 -Complete overhaul to the way Combat Usage works, now has three options. 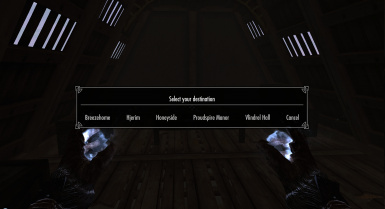 -Renamed DB Sanctuary and Dawnstar Sanctuary both to Dark Sanctuary. 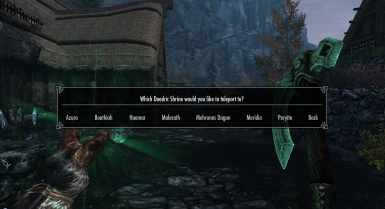 Dawnstar will replace Falkreath after the appropriate quest. -Replaced Thalamor HQ with Castle Dour. 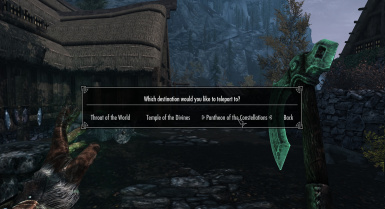 Requires the player to be a member of the Imperial Legion. -Streamlined and improved menus. Back actually goes back one tier of menus.